Storm Callum is sweeping across the UK and is set to hit Rugby with gusts of up to 45mph this evening - here is what to do if you experience a power cut. Western Power Distribution, which manages Rugby's electricity, has additional staff on hand this weekend to deal with any outages caused by the storm. But if you experience a loss of power, you can call the new national line on 105. 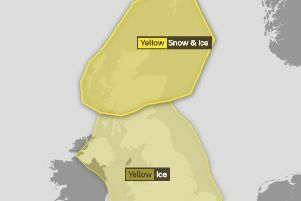 Today, October 12, will see the country experience the full force of the storm, with amber and yellow weather warnings for Wales, the South West of England, the North West of England and parts of Scotland. 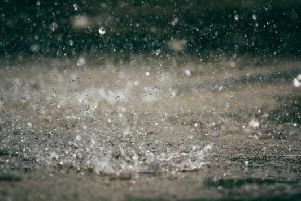 But unpleasant weather conditions can be expected to continue on Saturday in certain areas - with gusts of up to 41mph expected in Rugby tomorrow.